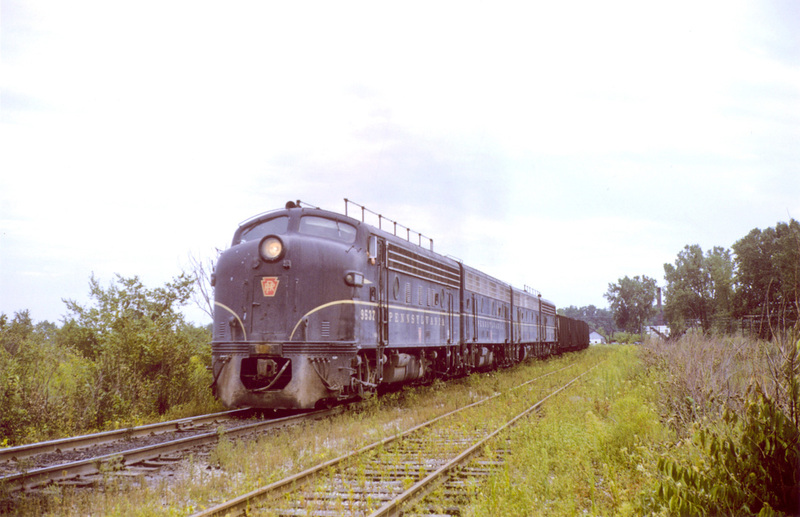 By 1960 the last of the five Columbus Class I railroads had transitioned to diesel locomotives. 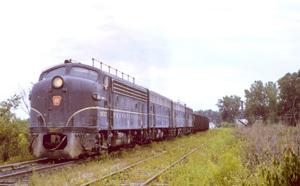 Compared to the old steam locomotives, diesels provided savings in maintenance costs. Yet the early 1960s also saw the advent of cheap jet airline service and the construction of the interstate highway system. Railroads were caught between regulation that control their rates, the competition of the trucks, loss of mail contracts, management problems, labor problems, Wall Street financial manipulation and a myriad of other issues. A northbound coal train on the Pennsylvania Railroad Sandusky Branch in Worthington. Signs of decay are starting to show in this 1960's photo. Photo from the Bob's Photos Collection. There was also the tendency of some railroads to skimp on infrastructure maintenance in order to invest their cash in other businesses. That led some companies to get out of the railroad business by selling off their weakened railroad properties while other railroad companies just went bankrupt. The railroads were in a decline that had been building since the end of WW II. In 1980 the U.S. Congress passed the Staggers Rail Act that freed the railroads from control of the Interstate Commerce Commission and allowing them to set their own rates making the railroads much more competitive. With the Staggers Act railroads started to evolve and improve their business. In the After Steam to the Staggers Act section the camera will show what Columbus’ railroads looked like in 20 years of decline leading to 1980.